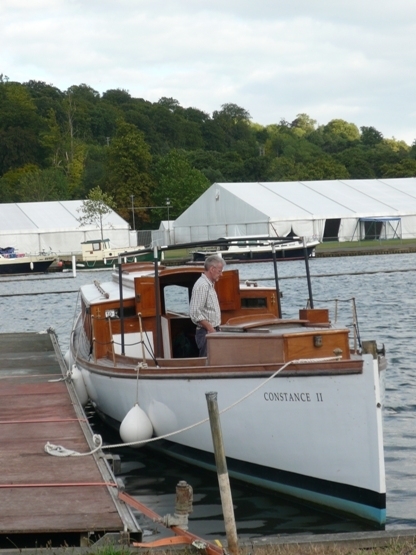 Built in 1895 by Henry Guy of Cowes, Isle of Wight, CONSTANCE is a saloon launch of timber carvel construction. She currently has two inboard electric motors by Lynch, model LEM200D135. 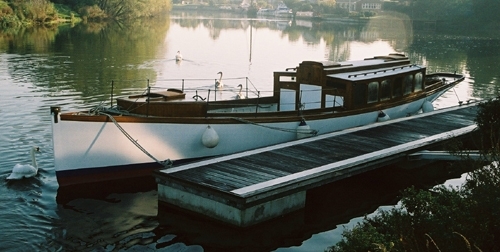 She was originally built as the tender to the steam yacht XARIFA for Lieut. Col. Frank Shuttleworth, a member of the Royal Yacht Squadron. 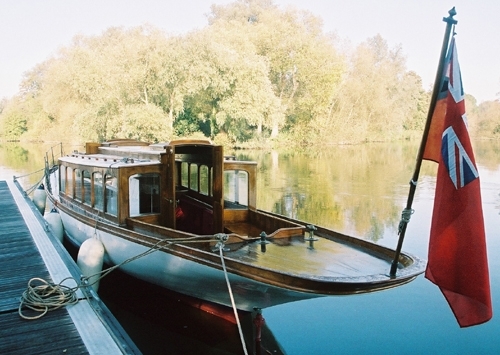 CONSTANCE remained a private leisure vessel until 1997, when her initial restoration was completed and she became a tripping vessel on Roadford Lake, Devon. She was originally named JAP, but her subsequent name changes were SUE in 1949 and ADRIAS in 1960. She was re-named JAP in 1990, then named ELEGANCE in 1997 and given her present name CONSTANCE in 2006. 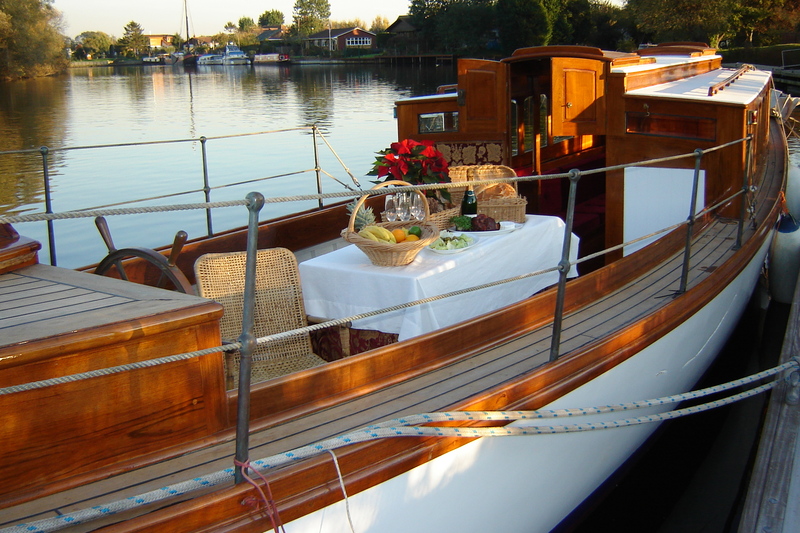 She is traditionally built in teak on oak construction with an elm keel, and has recently been renovated to a very high standard. 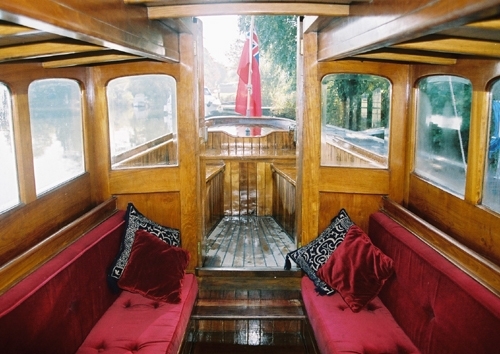 She retains the features of early saloon launches with teak panelling, bevelled windows and velvet upholstery. Sold to Gweek Classic Boatyard in March 2019, CONSTANCE will be doing river cruises on Helford River, Cornwall with lunch, afternoon tea and dinner.